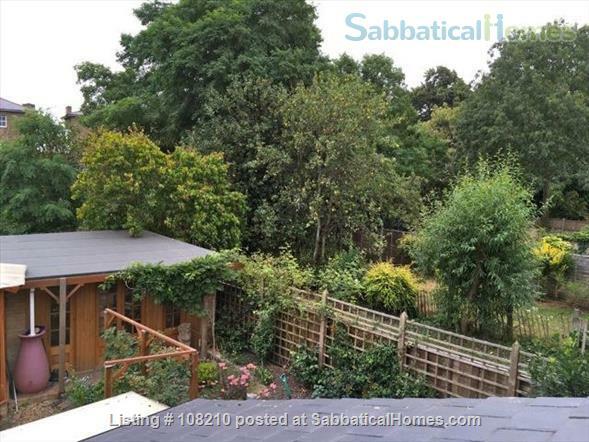 Pamela Carsaniga, a SabbaticalHomes.com member from the UK, participated in her first home exchange where she spent one year in a Sydney, Australia home while the members of that household occupied Pamela’s home in London. During this year of home exchange, Pamela experienced some delightful connections and some perplexing surprises. We’ll take a look at some of the highlights and share some helpful tips. We invite other SabbaticalHomes members to share their experiences with home exchanges in the comments. Pamela had spent many wonderful years in Sydney, Australia with her Professor husband before settling back in London in 2003. Prior to her husband’s passing, Pamela’s modified and enlarged their 1927 London home and spent time creating a lovely garden. She enjoyed her time in London, but longed to return to Sydney to catch up with friends and family. In the spirit of adventure, she arranged for a home exchange with a young family that would be temporarily relocating to London. Their home in Sydney was within proximity of Pamela’s family, old friends and activities she had enjoyed as a previous resident – so it seemed to be an ideal arrangement. Research your location and prepare for your adventure. Confirm your predictions about the weather. Do you want to be near nature? Are you interested in an urban environment? Do you want to be near public transportation? Originally, Pamela had only wanted to exchange homes for a few months, but when the other family requested a full year, she was happy to oblige. When the year was nearly over, the family that was staying in Pamela’s London home requested another year on the home exchange. Pamela was eager to get back to her home and garden, so they had to locate alternate accommodations. Is your time frame flexible? Be sure to consider the length you are willing to maintain the exchange. If this is negotiable, discuss it up front. If it’s not, be frank with your tenants. Pamela carefully considered how to prepare her home for the exchange. She cleared wardrobes and drawers in all bedrooms and stored her own belongings in top cupboards and in bags in the attic space. She packed away antique glasses and breakables (which she strongly recommends) leaving a full range of crockery, cooking implements in the kitchen cupboards and drawers most handy for everyday use. Pamela left books on upper shelves and enclosed lower sections and cleared the middle shelves for visitors’ use. When preparing for an exchange, consider your guests. Do they have small children? Do you have breakables? What can you do to ensure the items you hold dear are kept safe? Should they be removed from the home? Locked away in storage? The Sydney couple enlisted their nearby parents to help Pamela with any household issues during her time in their home. 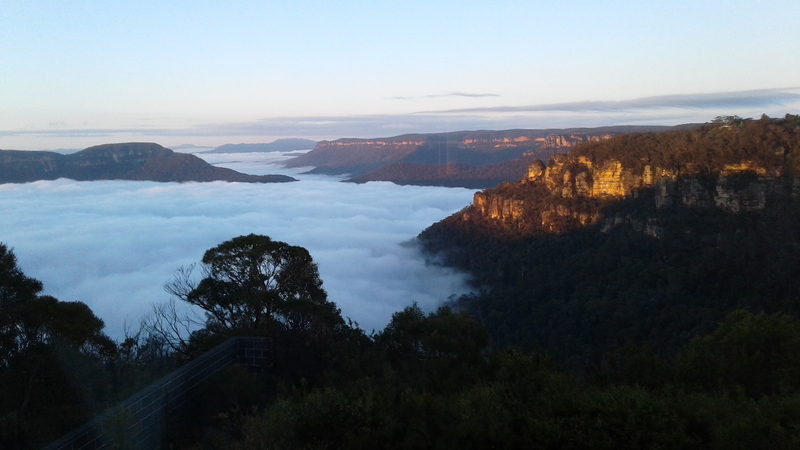 The parents lived just outside Sydney in the Blue Mountains, and called from time to time to collect mail. During these visits, Pamela was able to discuss various maintenance matters concerning the house with them and was given their permission to arrange repairs with tradespeople while the parents took care of paying these repair bills. One of the things that Pamela experienced was that her idea of home maintenance and care differed from the exchange’s family. When she arrived back in London, Pamela found some of her household items and furniture had been moved or altered, and in some cases in need of repair. Some of her items weren’t cared for in the way she was accustomed, and she had to spend time cleaning up some areas of the kitchen. When setting up a home exchange, it is important to discuss home maintenance with your tenants so that no one is surprised or confused about how things will be handled should the home require repairs during the exchange. Pamela’s 19–year-old grandson lived with her for six months, her daughter visited on several work trips, and her son and his wife stayed for three months and travelled back to England together. The exchange family’s parents that were helping Pamela in Sydney travelled to London to stay in Pamela’s house with their family on two occasions. If you plan to allow guests to have visitors in your home, or you plan to have visitors stay with you in your guest’s home, it is a good idea to have this discussion and include it in your terms. Insurance and other issues may be affected by additional guests. Pamela’s relationship with the owners’ parents developed into a friendship. Upon their return, they invited her to spend a weekend with them in their Blue Mountains home and meet with the local conservation group of which they were members. Making new friends and lasting connections in the SabbaticalHomes community is just one of the many bonuses our members experience. What special situations do they need addressed? Is your home an appropriate fit for their needs? Do they have small children? Pets? What’s the best way to safeguard items that are dear to you? If home cleanliness is an expectation, consider requiring a housekeeping service in the contract. Additional on-demand or supplemental insurance might be something to consider in the event that items are damaged. Make sure everyone’s expectations are understood. For example, if a household item breaks (such as a refrigerator) and no one is at fault, who will be responsible for the repair? Communication and knowledge are some of the best tools you have at your disposal. Be honest and fair, and plan accordingly – but know that even the best plans aren’t perfect. Flexibility is something that goes a long way. Above all else, enjoy your adventure!